5 January 2019 Ashley S. Miller Specialist of Customer Service Dept. Hard drive suddenly gets corrupted or can not be recognized by PC? Sometimes your disk can be damaged or just get corrupted due to various reasons. If it is an internal hard disk, it may become worse. Because we can not load into computer system to save or transfer any files and data. 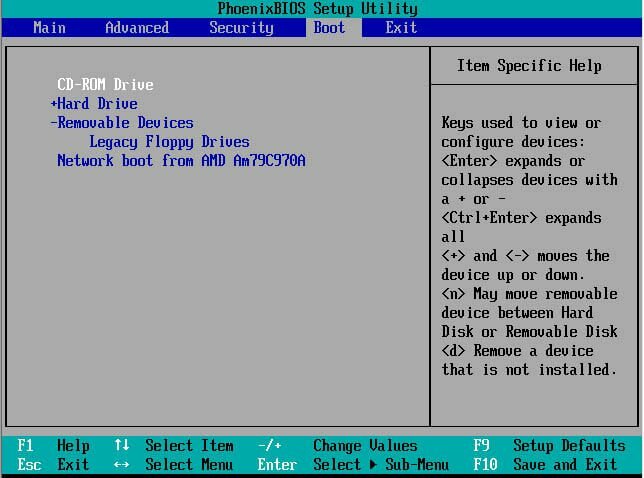 Besides, if users can not fix the disk to get system work, the only way to solve it is to reinstall system. However, this will erase all the data inside the disk or damage the corrupted data once again. So, is there any method which can help users to transfer existing files and data from the corrupted disk before reinstalling the system? Yes! 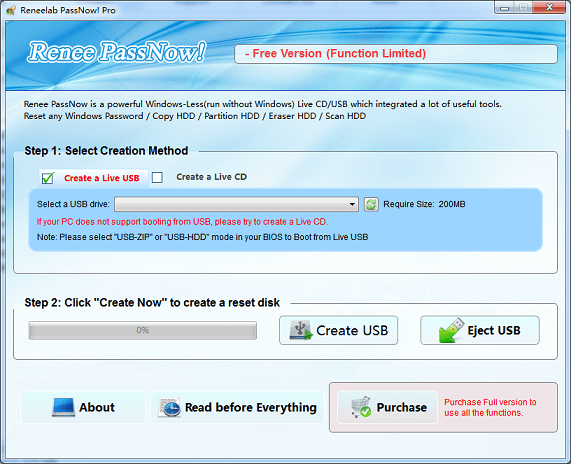 With built-in function Data Transfer in Renee Passnow, you can transfer any files and data from one internal corrupted disk to another even your Windows system can not run. Data Transfer in Renee Passnow will not limit the transferred file size and number. 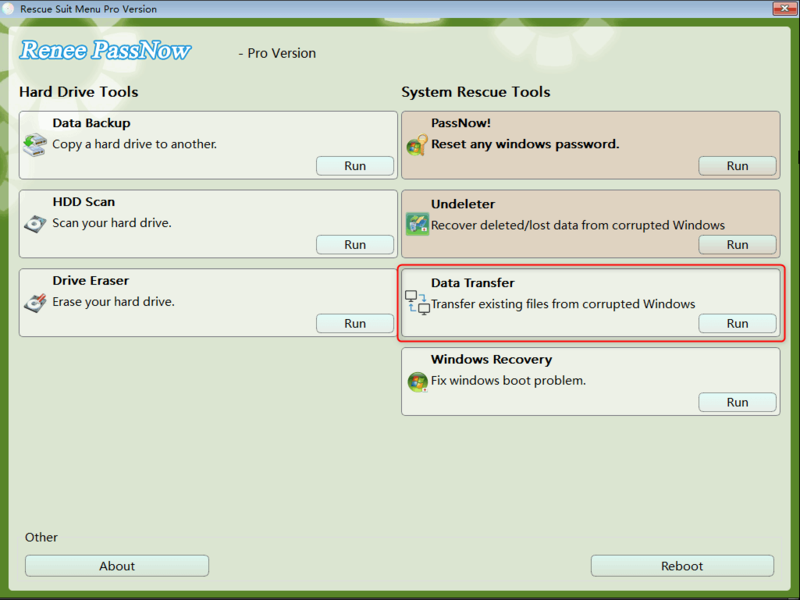 Step 4: After loading into the main interface of Renee Passnow, please select “Data Transfer” function. Step 5: Select the original disk and target disk. 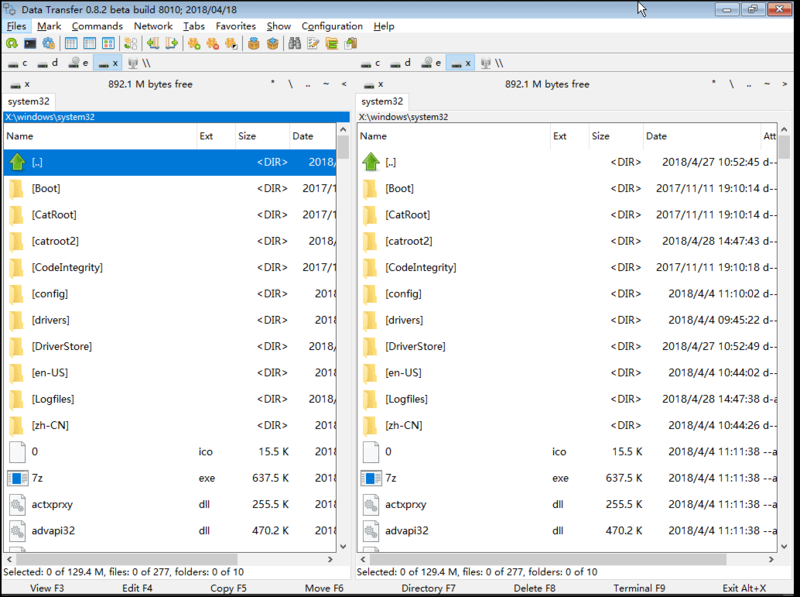 And drag the target files to the target disk directly.